Living a Fit and Full Life: Smashburger Launches the All New "Triple Double" Burger and it's Amazing! Smashburger Launches the All New "Triple Double" Burger and it's Amazing! It's the stuff burger dreams are made of … two layers of juicy beef, three layers of melted cheese, wrapped up in an artisan bun. Smashburger is making dreams come true, adding the all-new Triple Double to its national menu on July 11, 2017. 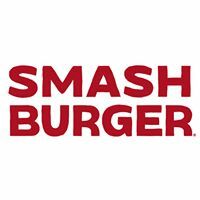 The Triple Double will feature two of Smashburger's famous fresh never frozen beef patties, two slices of American cheese and one slice of aged cheddar, delivering maximum burger happiness in every bite. It's Smashburger's beefiest, cheesiest burger to date and will quickly become a favorite for burger lovers everywhere. The Triple Double starts with fresh, never frozen, beef. Smashed and seared on a hot, buttered griddle, locking in the flavor and juices. The highest quality cheeses are added and topped with toasted artisan buns. As with any Smashburger, you can add your favorite fresh produce, toppings and high-quality condiments. And it pairs perfectly with their incredible sides and hand-spun shakes. Smashburger Launches the all new "Triple Double" Burger! Oh my gosh guys! If you haven't tried the all new "Triple Double" Burger from Smashburger you definitely need to. 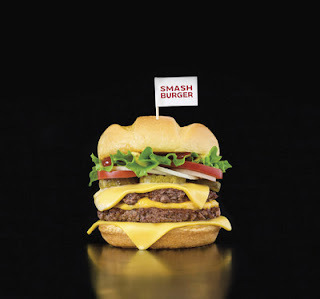 Smashburger's "Triple Double" Burger features two of Smashburger's famous fresh never frozen beef patties, two slices of American cheese and one slice of aged cheddar. It's one of the most flavorful burgers I've ever tasted! I also love that I can add my favorite fresh produce, toppings and high-quality condiments to make it the burger that's just right for me. 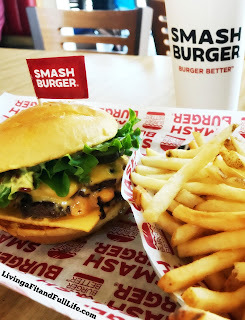 Combine the "Triple Double" Burger with one of Smashburger's hand-spun shakes and their amazingly fresh and delicious fries and your taste buds will be jumping for joy! Smashburger's all new "Triple Double" Burger is amazingly delicious and is sure to please!